What’s All the Hype About Coconut Oil? There has been so much buzz about coconut oil lately that I had to look into this. We know it is great for our hair and skin, but are there internal health benefits from it? 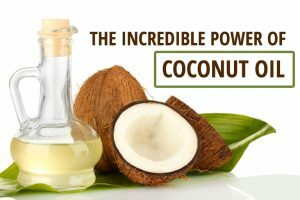 Coconut oil has always been used in tropical countries as a cooking method, but was disregarded in the U.S. during the 1970’s because of the high saturated fat content. Research has changed the minds of many who say that coconut oil, is in fact good for us. Also pure coconut oil contains 50% lauric acid-a medium chain fatty acid that has more of a neutral effect on heart health, as opposed to a longer chain saturated fat. Ok. This all sounds plausible. But let’s see if it tastes good! I set off to the local market-it can be found in most local grocery, big box or health food stores for a variety of styles and prices. Organic and extra virgin appear to be best. We tried it at home and everyone enjoyed, or at least didn’t mind the change and the health benefit as it is a great substitute for vegetable oil, butter, or margarine and can be used equally. Try it next time you sauté vegetables, make a chicken recipe or bake some amazing muffins! Have you tried coconut oil? What is your favorite way to use it?